One of the key areas for Community Cloud is its focus towards the Customer Community. Finding efficient ways of connecting with your customers with a full view of relevant and important content and communications is a very desirable feature for any business. Being able to liaise with your customers and vice versa allows for a better trusted relationship where they can get the help they need. 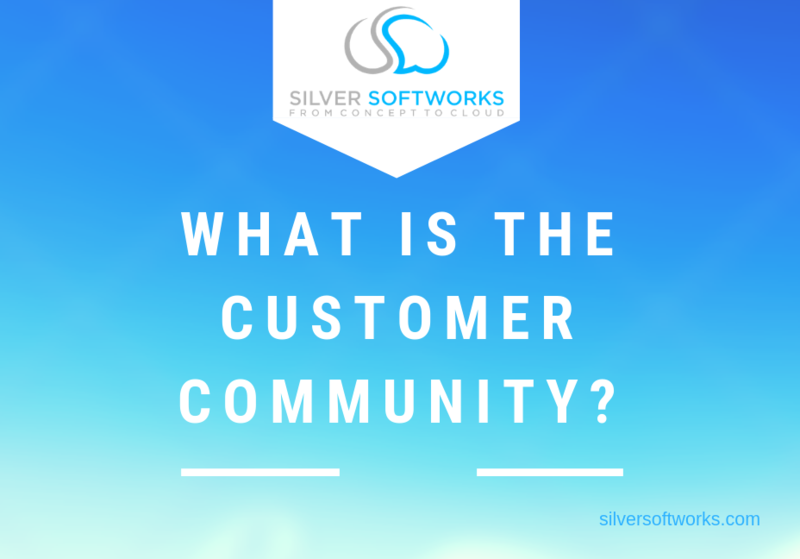 One of the main advantages of having a customer community is the ability to let customers exchange stories and questions between themselves. Customers are able to share use cases and experiences to inspire other practices. Learning from someone with the same or a similar journey can help to avoid related mistakes as well as find out best practices from someone going through the same motions. The customer community is not only for customer to customer communications however, it can be a great tool to encourage communication between the team and the customer. You are able to exchange important documents such as billing procedures or set data to provide customers with a clear and informative view when needed. Being part of the Salesforce platform allows for a personal experience from past interaction to help form more in depth and accurate communications between business and customer. A great use of the customer community is to promote your business with relevant informative knowledge articles and products to your customers. Educate customers to features and practices that could interest them and even potentially encourage purchases. Include content that highlights products and services that could appeal to customers and provide preemptive information they may need before even speaking to a member of the team personally. Not every customer will have the same needs or even support requirements, Community Cloud understands this and allows for multiple communities dependent on specifications. You may have separate communities for different industries for instance, sharing a range of relevant content as well as ways of raising cases for support and the ability to access on mobile for businesses that need answers on the go. Alternatively you may want to separate communities by individual customers and companies to ensure they each receive the correct amount of interaction and communication facilities. Communities seamlessly integrate with Salesforce, allowing for a clear view of interactions. When cases are filed in the community, they will appear in Salesforce to allow them to be tracked and reported on. This allows for sales and customer service teams to find patterns and frequently asked questions to improve customer service and preempt future queries. As you can tell, there are multiple use case that can appeal to your customer base. Creating a trackable way of interacting with your customers and letting them communicate between each other could potentially allow for a more efficient onboarding as well as after care services. For more information on how you can gain the benefits of Community Cloud, get in touch with our team here.